There's a love nest on the windowsill of our bedroom. It's a pigeon nest, with eggs waiting to hatch. 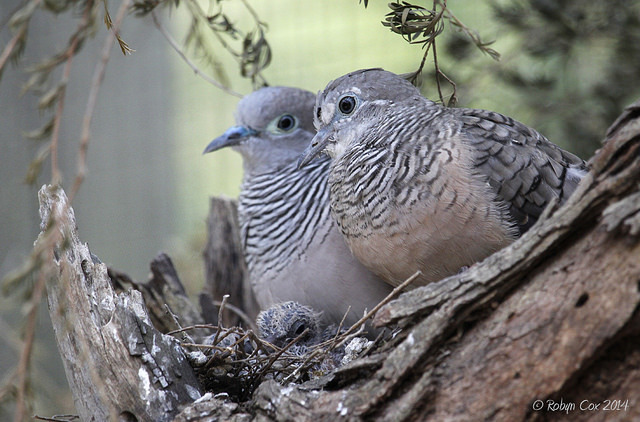 I wake in the morning to the cooing of doves. Just yesterday, my daughter and her fiancé took me to see the one-bedroom apartment they've found. Their faces glowed as they described it to me - the high ceilings, the brand new kitchen counters, the pretty bathroom. The fact that it's so close to the bus and the train and both their colleges and yet still on a quiet street, in the neighborhood everyone wants to live in, and with its own garden! They couldn't believe their good fortune. And all those things were true. It's an adorable apartment and the rent is a good deal. As they showed me the built-in closet, the new sink - and even a washing machine! - their eyes were filled with dreams of the life they will be sharing soon within those four walls. They weren't thinking about it being so small that only one of them can stand in that newly renovated "kitchen" at a time. 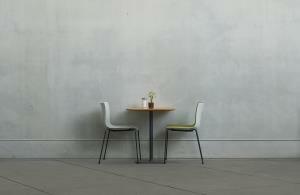 That if two people sit at the table at once, they'll block the entrance to the bathroom. That the wonderful high ceiling is so high that they'll need a ladder to open the only window in the bedroom. That the garden is, let's be honest, a patch of dirt that will turn to mud in the winter. I left as enchanted as they are - not with the apartment, which is perfectly fine - but with them and with memories of my own first, adored, love nest, with its "balcony" (a wooden fire escape - in Chicago? Seriously? ), kitchen cabinets that never closed, and bathroom ceiling that came crashing down. None of those faults ever mattered. I remembered all our homes after that - despite all their faults, too, beloved. We've moved around and circumstances have changed over the years. Still, each new home holds such promise of new chapters, new discoveries and lessons to learn. It's like starting as newlyweds all over again, only better. This is usually the point where our romance novels stop. We close the book, having reached The End, just as the story is really beginning. But having found a person you love and want to spend your life with, there's little more magical and exciting than putting together the home in which you begin your life, or a new chapter of your life, together. The pigeons on my bedroom windowsill aren't on their first go-around. They come every year. I've given up on ever opening that particular window. Why would I want to bother them? But each spring, it's like the first time. A new nest. A new set of hatchlings. A new future. To all those June and other summer brides out there, here's to filling your new nests with lots of love and joy to last you many years! To those of us ensconced in our old nests, may they become ever more comfortable, and yet still fresh and new as time goes on. 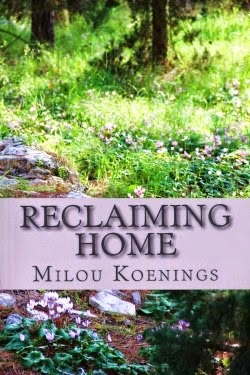 Milou Koenings writes romance because, like chocolate, stories with a happy ending bring more joy into the world and so make it a better place. Her sweet romance, Reclaiming Home, A Green Pines Romance, is available at Amazon. You can find her on her website, www.miloukoenings.com, on Facebook, or Twitter. Sign up for our newsletter and keep up with Sweet Romance Reads! Scroll down the right side of our blog and enter your email address under Newsletter Signup. Join us at the SweetRomanceReadsCafe to chat with our authors. We love to hear from you! This is so sweet. I'm so happy for your daughter and for the life she and her fiancé are planning. Thanks for sharing the birds' nest and the happy thoughts for the future of your daughter. You brought memories of the house hubby and I rented when we first got married. It was a big old four-square built at the turn of the 20th century. We had way more room than we needed, but the rent was cheap in this tiny town. The first winter we lived there was brutal, and we wound up living in one room because the gravity air furnace could only heat the one downstairs room efficiently. We slept on the pullout bed in the couch. Thanks, Patricia. It's one thing to read or write about in novels, but so delicious to see young love happening in real life! Brings back so many memories. Thanks for a lovely 'love nest' post.